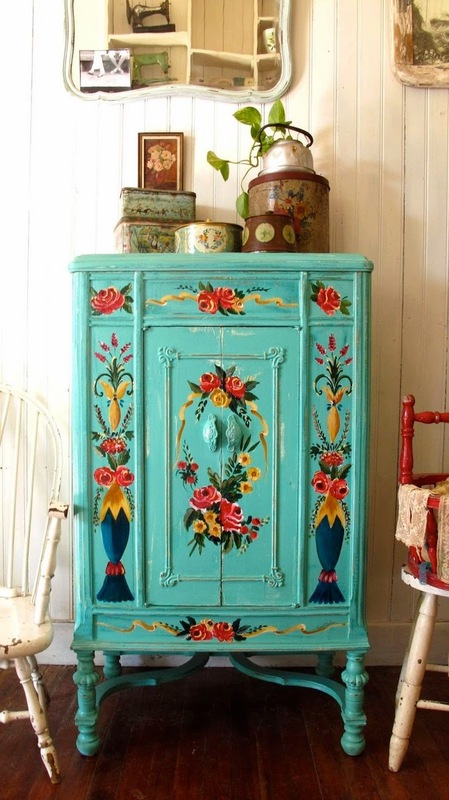 Beautiful boho, gypsy inspired painted cabinet. The link below to Las Vidales has lots of pieces of furniture similar to this one, using vibrant base colours with hand painted flower and bird images which look lovely- check them out. They look great as a stand out point in a neutral room decorated with some living greenery and vintage knick knacks.